You can create a group of email recipients in seconds with GroupMail! 2. 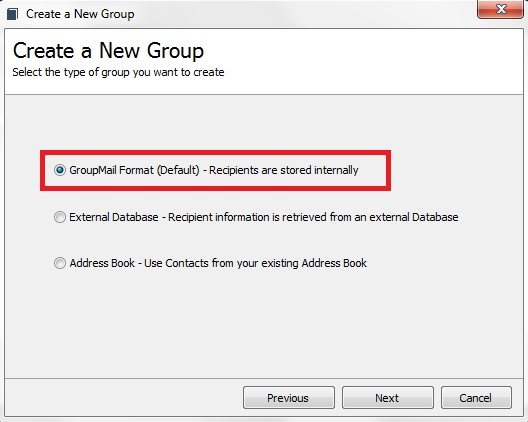 By default, group settings are configured to create local groups in GroupMail’s own, internal database. Just click Next. 3. 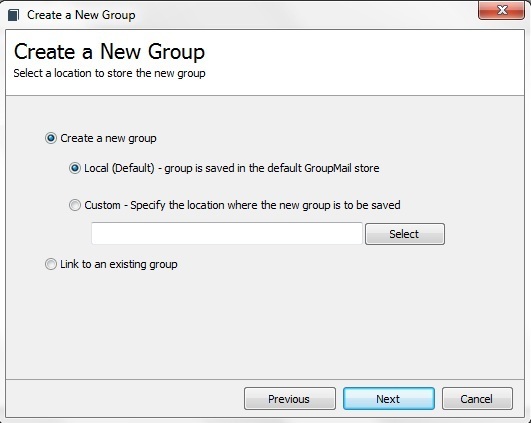 By default, GroupMail is configured to create local groups with all data stored locally in your GroupMail folder. Just click Next. 6. 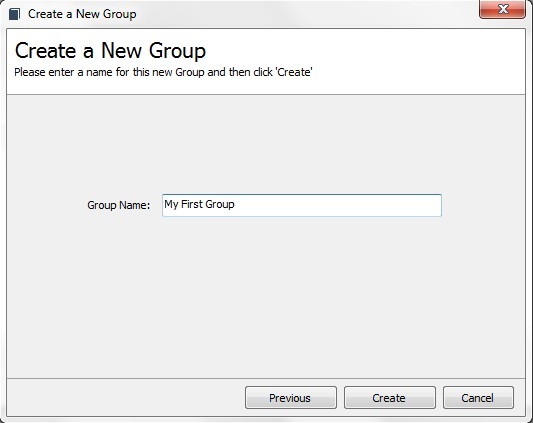 After naming your group, simply click Create to create a group. 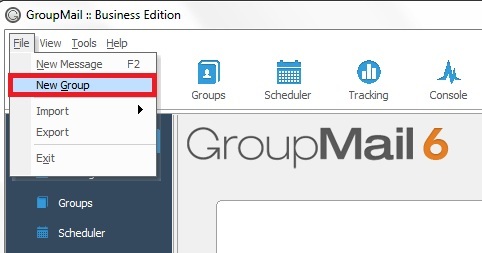 You will see your new group appear in your groups folder in GroupMail. The number in (parentheses) after the group name shows the total number of recipients in each group. At first, this number will show 0, of course — until you add some recipients to the group. To add email contacts manually to a group, simply double-click the group and select “Add” at the bottom of the View and Manage Recipients screen. You can also modify or remove recipients as needed. To import a list of recipients from a file, right-click on the group name and select “Import”. 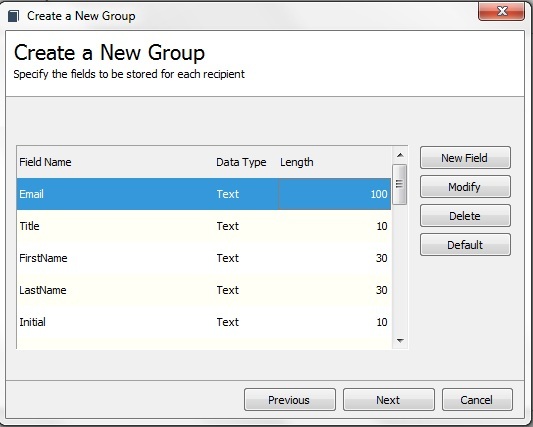 You can create any number of groups in GroupMail with as many recipients in each group as you want. Keep in mind that GroupMail sends individual emails to each recipient in your group. It does this very fast by using multiple delivery connections. The only thing that each recipient will see is a message to them, from you. They will not see the group name and a Bcc: field is not used. The privacy of each recipient in your group is guaranteed. I always recommend that customers create a Test Group first, adding several of their own email addresses, and ideally addresses from a variety of domains (i.e. Gmail, Yahoo, Hotmail, etc.). It is good practice to email your test group prior to sending your message out to your full list. This gives you a chance to see your message from an inbox perspective and modify the message, if necessary, before it goes out to everyone else. You’d be surprised how many small things you will notice when looking at your email as a recipient rather than a sender!